How to De-stress Through Reading! If you’re looking for a simple way to de-stress and unwind after a hard day at work or dealing with your friend’s and family members drama, simply continue reading to discover how reading may be able to help you de-stress on a daily basis. Reading allows you to temporarily escape your everyday stresses and worries and to transport your mind to another world. Every time you open a book, you’ll be able to focus on the story in front of you, which means that when you close your chosen book, you’ll feel relaxed, rejuvenated and ready to take on the issues which face you in your day to day life again. If you’re looking to use reading as a form of relaxation, it’s well worth trying to find a quiet, peaceful area in your house to read in. As an example, you may want to create a reading corner in your bedroom which features a beanbag and plenty of cushions or you may want to invest in a comfortable chaise, which you can read in, whilst sitting in your lounge. If you’re feeling highly strung and stressed out, it’s well worth picking a light-hearted read such as a contemporary comedy or a fantasy book, instead of opting for a serious crime centered novel. Alternatively, you may want to opt for a book which is set in a foreign country, which you may be interested in visiting in the future! Which will help take your mind off the issues in your life which has been stressing you out. Even if you lead a busy, hectic life, you should be able to find 15 minutes a day to read another chapter in your chosen book. As an example, you may want to start your day off by reading in bed, or you may be interested in reading a fun book on your daily commute to work on the bus or train. If you find reading relaxing, you may want to consider joining a local book club. Which will give you an opportunity to meet up with a friendly group of bookworms on a weekly, bi-weekly or monthly basis, where you’ll be able to talk about the latest books which you’ve read in a warm, friendly environment. Alternatively, if you don’t have the time to commit to attending an in-person book club, you may want to sign up for an online book club, instead. As you may find talking to other individuals around the world about your favorite books a relaxing, destressing experience! 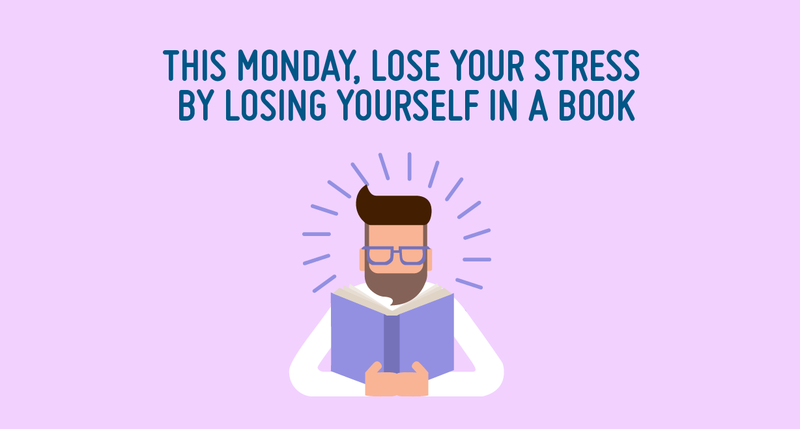 So if you’re looking for a simple, foolproof way to de-stress, it’s well worth getting into the habit of reading on a regular basis!